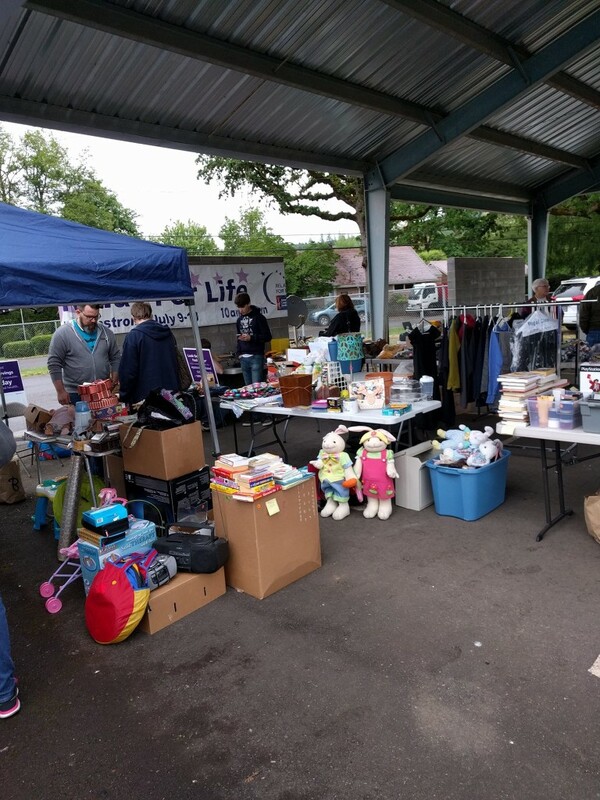 Gales Creek – For the fourth year in a row, the Gales Creek Chamber of Commerce will host the Gales Creek Community Yard Sale on May 20 from 9 am to 4 pm at the Gales Creek School, located at 9125 NW Sargent Rd, Gales Creek, OR 97117, under the covered playground area. The annual event draws community members together to sell their wares and get a jump on spring cleaning. Tables and a space can be rented for $15, or $10 for chamber of commerce members. New this year is Audaddy’s, a mobile food cart that serves gourmet hot dogs, hamburgers and hot subs and sandwiches. “We’re excited to host the 4th annual Gales Creek Yard Sale. So far, almost a dozen tables have been spoken for. This may be our biggest sale yet.” said Chas Hundley, President of the Gales Creek Chamber of Commerce. The yard sale, held the same weekend as other yard and garage sales in the Gales Creek Valley, draws hundreds of visitors from all over Washington County to shop and visit under the covered area at the Gales Creek School. For more information or to reserve a table, email info@galescreekchamberofcommerce.org or call Chas Hundley at 503-490-9316. A Facebook event has also been established. Photo from the 2016 3rd Annual Yard Sale – Please credit Chas Hundley.